Migration Info: The RV-SD Series has been replaced by the RV-FD Series. Although the RV-FD Series offers units similar in size and mounting to the RV-SD series, there slight variations that need to be accommodated to mount RV-FD series robots to existing locations, and with existing tooling. All programs from RV-SD series robots can be utilized in RV-FD series units. Please contact MPAC Ltd. for further information. Migration Info: The RV-SQ Series has been replaced by the RV-FQ Series. Although the RV-FQ Series offers units similar in size and mounting to the RV-SQ series, there are slight variations that need to be accommodated to mount RV-FQ series robots to existing locations, and with existing tooling. 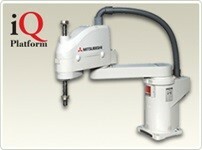 All programs from RV-SQ series robots can be utilized in RV-FQ series units. Please contact MPAC Ltd. for further information. Migration Info: The RH-SQH Series has been replaced by the RH-FQH Series. Although the RH-FQH Series offers units similar in size and mounting to the RH-SQH series, there are slight variations that need to be accommodated to mount RH-FQH series robots to existing locations, and with existing tooling. 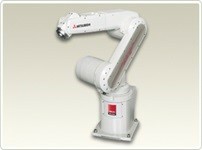 All programs from RH-SQH series robots can be utilized in RH-FQH series units. Please contact MPAC Ltd. for further information. Migration Info: The RH-SDH Series has been replaced by the RH-FDH Series. Although the RH-FDH Series offers units similar in size and mounting to the RH-SDH series, there are slight variations that need to be accommodated to mount RH-FDH series robots to existing locations, and with existing tooling. 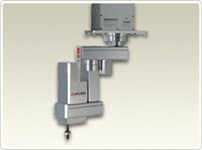 All programs from RH-SDH series robots can be utilized in RH-FDH series units. Please contact MPAC Ltd. for further information. Migration Info: The RH-SDHR Series has been replaced by the RH-FDHR Series. The RH-FDHR Series is identical in size and mounting to the RH-SDHR series, so existing mounts, tooling and robot arm options can be used by the RH-FDHR series robots. 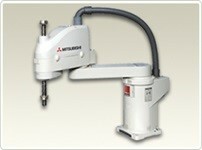 All programs from RH-SDHR series robots can also be utilized in RH-FDHR series units. Please contact MPAC Ltd. for further information. Migration Info: The RH-SQHR Series has been replaced by the RH-FQHR Series. The RH-FQHR Series is identical in size and mounting to the RH-SQHR series, so existing mounts, tooling and robot arm options can be used by the RH-FQHR series robots. 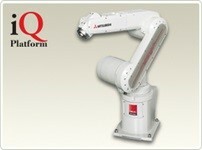 All programs from RH-SQHR series robots can also be utilized in RH-FQHR series units. Please contact MPAC Ltd. for further information.